Enjoy the carefree feeling of all day odor protection you can rely on. Clinically tested formula of Zinc Ricinoleate, Corn Starch and Baking Soda neutralizes odor, while Grapefruit Seed Extract, known for their antimicrobial properties, helps fight odor-causing bacteria. 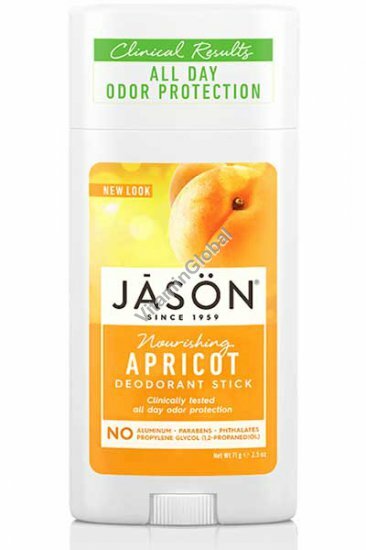 The added benefit of luscious Apricot Oil and nourishing Vitamin E leaves underarms softer and smoother. Grapefruit Seed Extract: Known for its antimicrobial properties. Vitamin E: Gently relieve dry, irritated skin and restore softness with this plant-based oil. Suggested Use: Apply to underarms only.